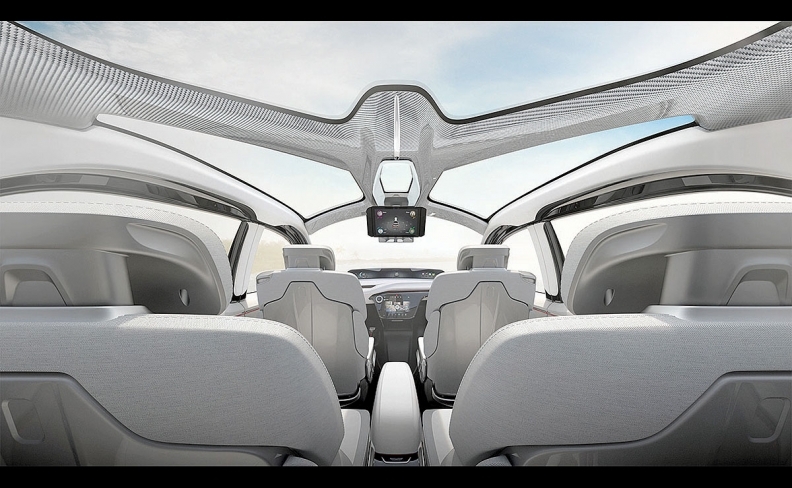 Chrysler's Portal concept has facial-recognition software that developer Panasonic Automotive says is robust enough to recognize motorists even if they get a new haircut or wear glasses. LAS VEGAS -- In a car-sharing economy, how does a vehicle recognize which motorist is in the driver's seat? 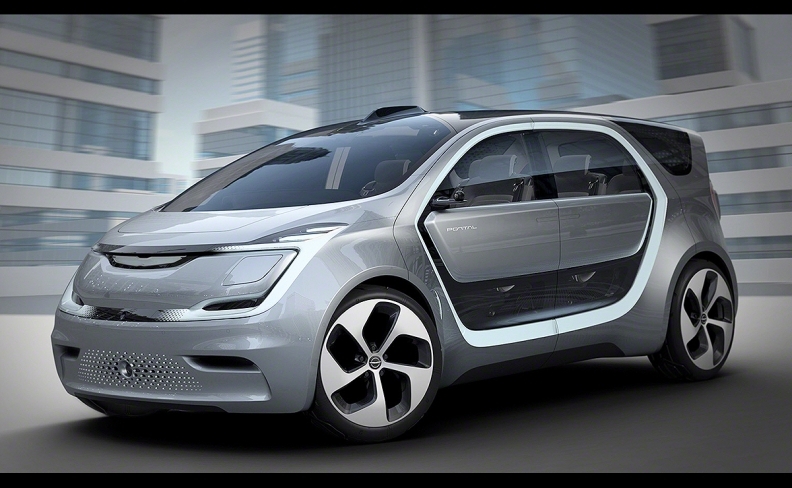 Judging by Chrysler's Portal electric minivan concept, the answer may be facial recognition. The Portal, which debuted this month at the CES technology expo here, featured a camera behind the steering wheel that scans the motorist's face. After the initial scan, the vehicle would maintain a profile that includes the motorist's favorite radio stations, seat position, address book, calendar, etc. Panasonic Automotive developed the system with Sensory Inc., a Santa Clara, California, company that supplies facial- and voice-recognition software for mobile phones, tablets and laptops. "The technology has been proven out in millions of Android phones," said Don Turner, Panasonic Automotive's associate director of advanced engineering. "Fiat Chrysler is evaluating it, and we are showing pieces of this solution to other automakers." If the motorist chooses, he or she would sit in the driver's seat for an initial scan, then fill out a profile displayed on the center console. The system would store the driver's profile in the cloud. For subsequent trips, an exterior camera positioned over the B-pillar would identify the driver walking to the vehicle and adjust the seat, radio and preferred climate control before the driver is seated. An automaker could also install other cameras in the cabin to recognize and store profiles of passengers. A noise cancellation system could create an aural cocoon around each passenger, who could listen to his or her preferred music. Turner says the facial-recognition software is robust enough to recognize motorists even if they change their look by growing a beard, getting a new haircut or wearing glasses. If they choose, automakers could make the ID more robust by adding voice-recognition software. The Portal lacked a voice ID system, but that could be added, Turner said. 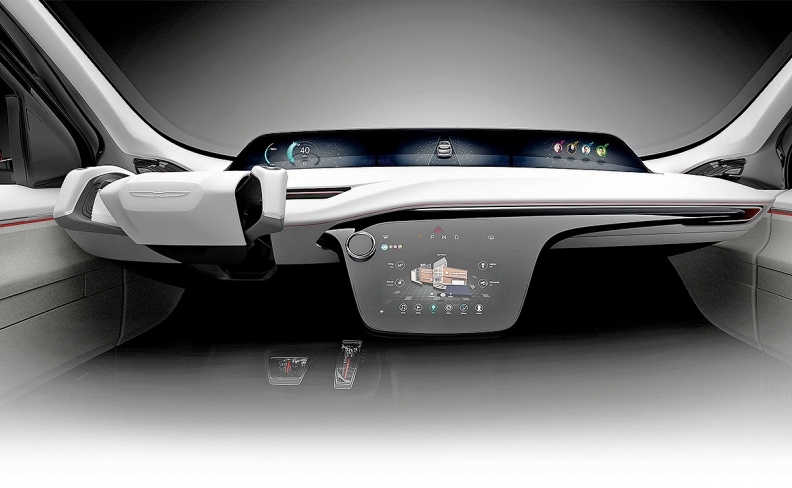 The Chrysler Portal's facial-recognition profiles are stored in the cloud. Turner said the technology could be showroom-ready by 2020. Other suppliers are tinkering with biometrics, too. Gentex is developing a camera mounted in the rearview mirror that would analyze images of the motorist's irises. Identification using irises is more accurate than using fingerprints, Gentex CFO Steve Downing said. That could be especially useful as automakers expand vehicle-sharing enterprises. A ride-sharing service needs to allocate costs among vehicle users. And the owner must ensure that only authorized drivers are using the vehicle. In case of an accident, the service needs to know who was driving at the time. "This solution adds a level of security," Downing said. "We think it will be compelling technology for the ride-sharing car of the future."